Hamid Barole Abdu is an Eritrean author, storyteller and poet who cares very much about human and civil rights. 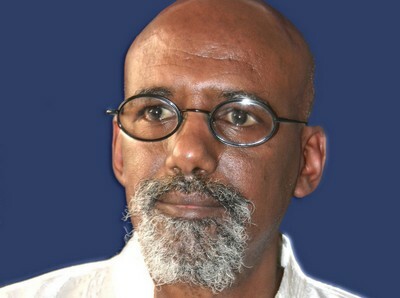 From his page on Wikipedia: after studying literature in Eritrea, he moved to Modena, Italy, in 1974, where he has worked as an intercultural expert and has published several articles about the migratory phenomenon. Hamid has written many books and anthologies of poems that show how much his sensibility for the problems of the poorest people in the world is great. Many of his texts have been transformed in stage works and you may often see himself telling his poems in festival and meetings. Here you can watch a video about his book Genocide in Rwanda - Testimonies of Survivors (English). If you understand Italian, you might also watch some of his recitals on Youtube, as this one.